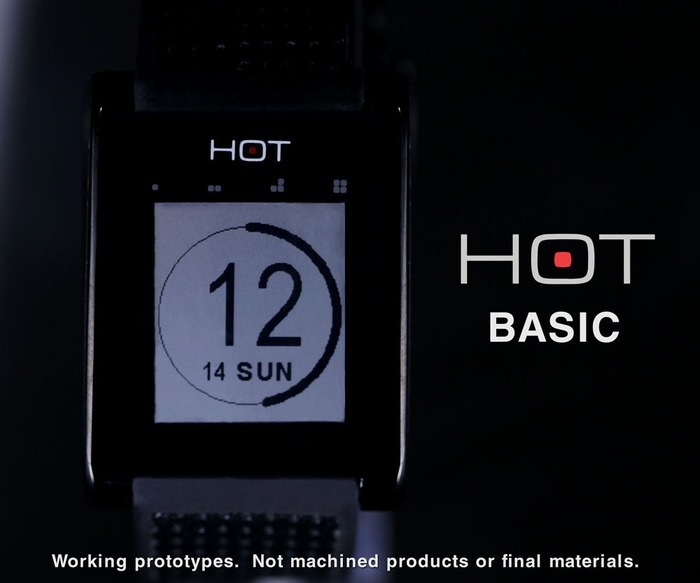 There's the Sony SmartWatch, the Pebble, and soon there will be the HOT Watch - but this last one might just make your dreams come true. The current smart watches on the market may not have sold well, but that doesn't mean there isn't a strong demand for this type of item. 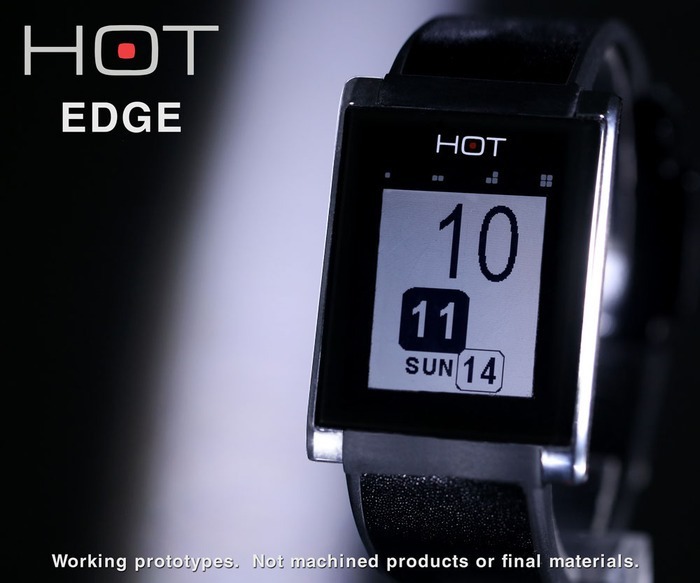 This upcoming piece of wearable tech reached its sizable $150,000 Kickstarter funding goal in just a single day, showing just how strongly people want a smart watch done right. 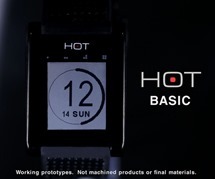 The HOT Watch promises to be even better. 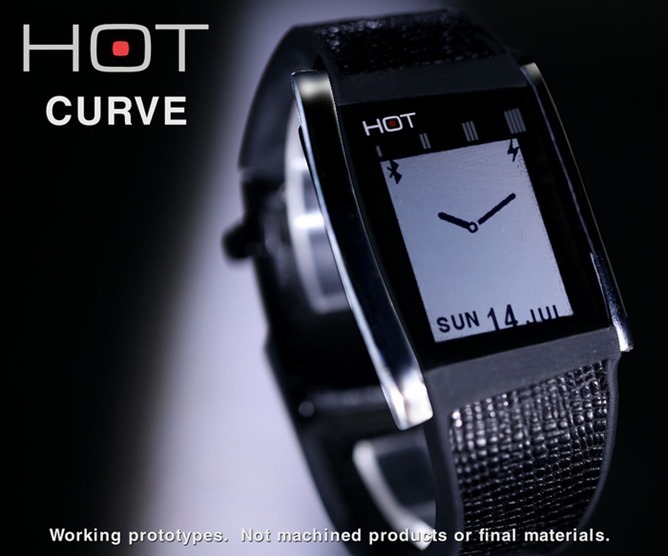 The HOT Watch will bring a far more interactive experience than prior offerings, allowing wearers not only to read their messages, but to respond to them as well. The watch will support texts, email and social networks. It also comes with a wide range of apps that can display content such as the weather, stocks, calendar, and news. Joggers will be able to control music from their wrists, view their steps using the offered pedometer, and trigger a timer to see how long they've been out. Wearers will not only be able to screen phone calls, they can answer them and communicate through the watch itself. Yes, there's speakerphone support, but the cooler option is holding your cupped hand up to your ear. It's every sci-fi and secret agent fantasy come true. The coolness factor doesn't stop there. 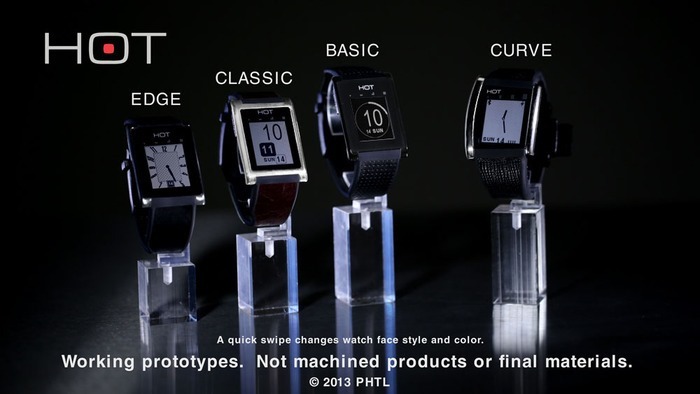 The watch is packed with gesture support. Wearers only have to move their hands to their ear during an incoming call to answer it. Calls can be rejected just by shaking your hand, and annoying calls can be muted by dropping your hand away from your ear. The LED backlight pops on automatically once your hand is twisted upwards. 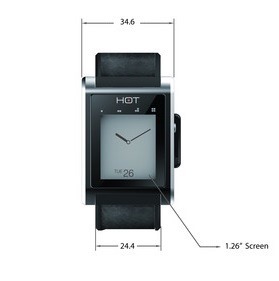 The HOT Watch still requires a Bluetooth connection to a smartphone in order to work. 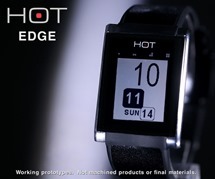 Like the Pebble, it will use an e-ink display and have support for custom apps developed through its SDK. Some really creative stuff has cropped up for Pebble since its inception, so a vibrant community can really be the difference between a good device and a great one. That said, this watch should be pretty feature-packed even without additional developer support. 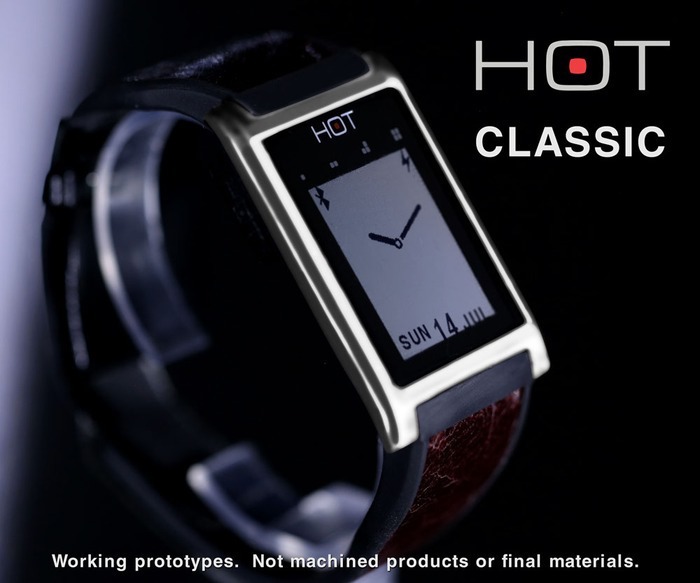 On top of all of this, the HOT Watch arguably has a sleeker, more attractive appearance than its forefathers. It will come in a broader range of styles. Check it out in motion, if for no other reason than to see the acting. It's worth it. Now that you want one, here's the kicker - early birds can get their hands on one for just $109, forty bucks less than what a Pebble costs at Best Buy. There are still 36 days left to go, and devices are expected to arrive before Christmas. I don't know about you, but I cannot wait to pass someone using one of these in public.